SERGUEI RACHMANINOV : Transcription de J.S. 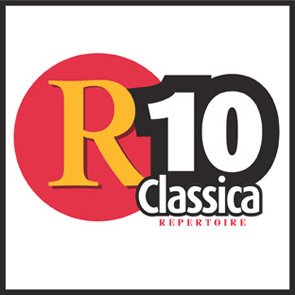 Bach's Partita nº3 en mi mineur pour violon seul BWV 1006, Moments Musicaux, opus 16. Berceuse - Transcription de la Berceuse de Tchaikovsky, Nº1 de six chansons, opus 16. Lilacs - Transcription du Nº5 de douze chansons, opus 21. Variations sur un Thème de Corelli, opus 42. 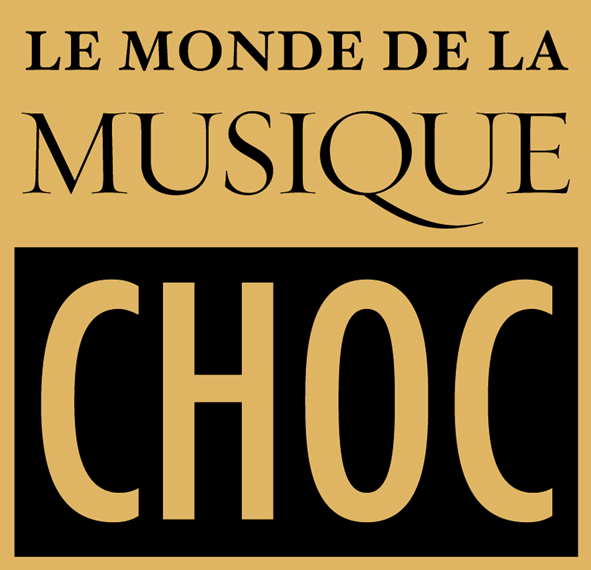 It is interesting to compare the Moments Musicaux with the Variations on a Theme of Corelli(1931), the last "original" score for piano solo written by Rachmaninov. Here, Rachmaninov offers us a firework display. 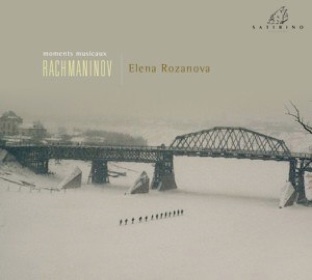 Rozanova's interpretation is as expressive as it is technically masterful.An artist to follow up closely! The works of Pantcho Vladiguerov (1899-1978) are a "musical synthesis" of twentieth century Bulgaria: his style is based on the melodic and rhythmic richness of Bulgarian folk-lore. 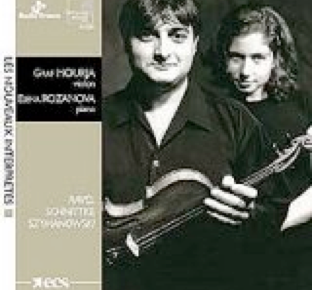 For this unusual and very romantic programme, Elena Rozanova accompanies the gifted violinist Svetlin Roussev. 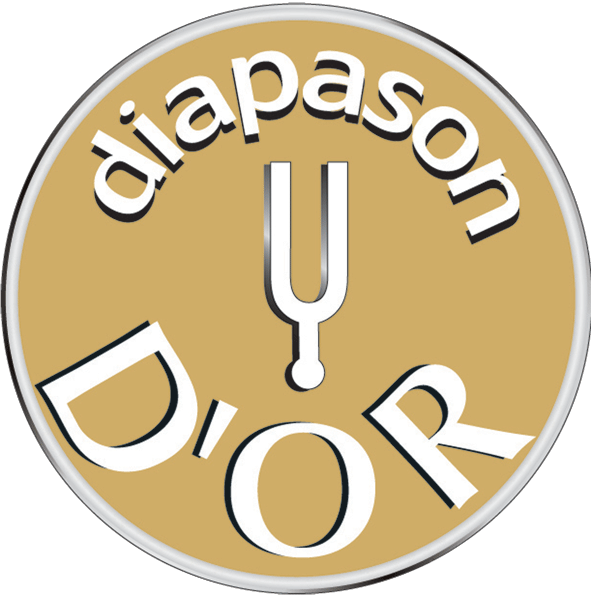 (…) A brillant interpretation that enables us to discover a composer in the best possible light ! Once the incredible difficulties of Prokofiev's Toccata and Sonata are overcome, one discovers an artist burning with interior fire. Her way of playing is precise and elastic, never mechanical. The sonata's introduction and its wild character are rendered magnificently. The melodic line is never broken, defining changes of mood, and respecting the strictness of the most varied rhythm. Shostakovich's Preludes are the climax of this recital: the artist transforms them into a nocturnal reverie, alternating between the burlesque and the morbid, the little piece of chamber music and the concert cadence. We hope to hear again soon such a creative artist. The virtuosity of the young pianist is more delicate and refined than noisy and transcendental, except in some passages of the Toccata, in which she shows her strong personality. Rozanova creates the right atmosphere thanks to her elastic manner of playing, her melodic sonority and delicate slurs. The technical finish and melodic refinement are admirable, every musical phrase sings and breathes pure and alive, as in her Alborada del gracioso, precise and incisive. A pianist as technically precise as melodically poetic. "The cover of the CD is unusual. 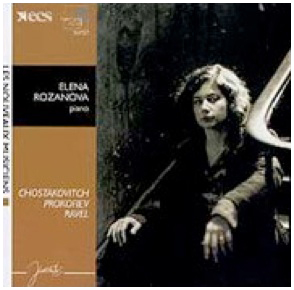 It does not show a photograph of Elena Rozanova with a broad smile but only a black and white portrait, gazing introspectively... it is in this spirit that she executes in a masterly way the spectacular Toccata of her compatriot Prokofiev, giving the score in every moment the theatrical and intelligent character that it requires. Explosive and with violence, she follows with Prokofiev's third sonata, so frightning and infrequently played because of its pianistic rigor. Ravel's Miroirs flow with a cristaline mobility and a convincing and cold coloration, helped by an unbelievable virtuosity." SZYMANOWSKI : Nocturne et Tarantelle opus 28. I would highlight Elena Rozanova who knows what subtlety and inventiveness mean. We will have great pleasure in listening to her again with the same violinist. Elena Rozanova gives a dynamic cue, full of colours and perfectly coherent. In the first sonata, she seems even to surpass the violinist, giving to the four movements not only an energetic dynamism but also a powerful and emphatic density. 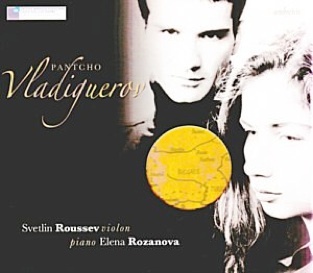 Elena Rozanova contributes fully to the sensation of elegant sensuality of this recording. “Curiously, the more I listen to this young pianist, the more I ask myself if what I listen to is a piano. Elena Rozanova has this mysterious secret that takes us to a different musical dimension." Luc Baiwir, composer. SERGUEI RACHMANINOV : Moments Musicaux opus 16, Préludes (1-2-3) opus 23, 4 transcriptions.